Businesses are constantly looking for new avenues to maximize profits, increase business efficiencies and channelize energies exclusively towards business growth and development. One of the early solutions was sweeping computerization that shifted operations from the manual mode to automated functioning. This held center stage till the recent global recession that even brought world economies to their knees, not to speak of businesses large and small. Thus began the need for alternate measures, one that had to cater to a “business as usual” mindset while looking for ways and means to drastically reduce expenses. This is when the seed of outsourcing as a means to rationalize and optimize business operations was first sown in the minds of corporate leaders. The next question that cropped up was – if outsourcing had to be the main mantra of business, what were the functions that had to be spun off. This again was industry specific. For example, for the real estate industry it was primarily data entry and capture, for the insurance sector it was outsourcing commission payable, claims processing and policy management. But a common thread that ran through all regardless of the industry, sector or business you were in was to outsource and avail bookkeeping and accounting services. Why is this so? The main reason is that accounts is mainly about structuring operational data that is generated into fixed formats and requires no real discretionary powers to compile. The figures churned out are the results of policy decisions taken by you. Further accounting and bookkeeping is a time consuming process and there is absolutely no point in keeping highly paid manpower engaged in this activity when the same can be done at much reduced costs. Finally outsourcing agencies use the latest accounting software so that you can be assured of precise and accurate reports. What then are the 5 ways that Bookkeeping & Accounts Outsourcing Services can improve your business? Maintaining a large accounts department with state of the art hardware and software entails huge investments in infrastructure development not to speak of hiring trained manpower at lucrative salaries to run the service. Cost of expensive floor space and high rentals for housing the department has to be considered too. By outsourcing accounting functions to professional agencies you are able to totally eliminate this need while being assured of quality services at a fraction of the cost. This savings can be better utilized for diversification of business, creating brand awareness, new product launches and offering competitive pricing to get ahead of the competition. One of the constraints of all businessmen is a perennial shortage of time. So many things have to be done that can be extremely demanding. On top of that if you have to supervise your company at the micro level and have to monitor such back office tasks as accounting, where will you get the time to take policy decisions, look for business opportunities and focus on core competencies that will improve your business. Outsourcing of accounting functions will take a load off your shoulders while leaving you with ample time to optimize business administration. In today’s business scenario, you have to be constantly on your toes to ensure security of confidential operational data. The rise of the Internet and the propensity to hack into company databases by unscrupulous elements and competitors has further compounded the problem. When you outsource to Bookkeeping and Accounting Services you can be sure that all your records are encased in fail safe security measures, more than you can guarantee in-house. This is very crucial for your business considering that hundreds may be raised on you in a month. Keeping a tab on them is a very tedious task as is accuracy in payments. Outsourcing agencies will track every invoice, received and update systems almost on a real time basis. All fields such as date of invoice, due date for payment, the person who authorized the purchase against which an invoice is drawn and other similar details are all generated in reports which can be accessed any time by you. Hence your business efficiency will rise as you are always aware of the amounts payable by you and your cash flow. You can also optimize your investments and be in full control of working capital requirements. If you want to know your true financial standing, ensure that your bank and credit card reconciliation is always kept updated. Considering the magnitude of this task, it is always advisable to outsource this function. Outsourced agencies will take it up as a continuing process and will get bank statements balanced with your cash books every month. It will help eliminate fraudulent transactions and losses which often results from long non reconciled books of accounts. 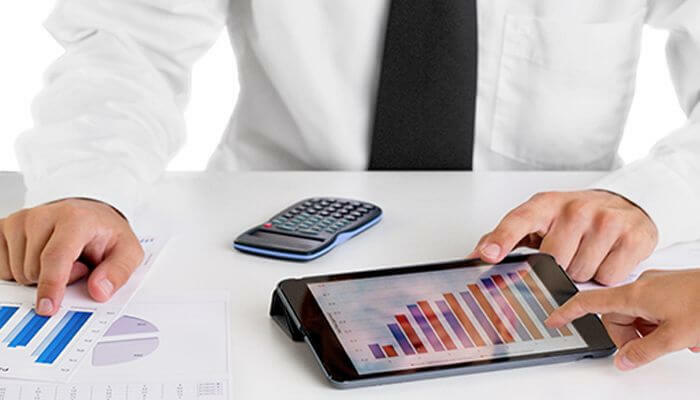 These are the 5 ways that Bookkeeping and Accounting Services can improve your business when you choose to outsource your financial data maintenance. One of the leading outsourcing companies for bookkeeping and accounting functions is Accounting to Taxes. We have years of experience in this field and use the latest accounting software for data processing. Previous Previous post: What are the Advantages of Outsourcing Accounting Services to India?